I'm here I promise! I know I have not been around a lot lately but it is the end of the school year and so there has been a lot going on. I have also been working on finishing up 3 large projects and accepted a custom job! :0 I promise soon to be around more often. Until then here are some fabulous features from last weeks THT! Thank you to all who turned out. Each and every week the links just keep getting better and better! 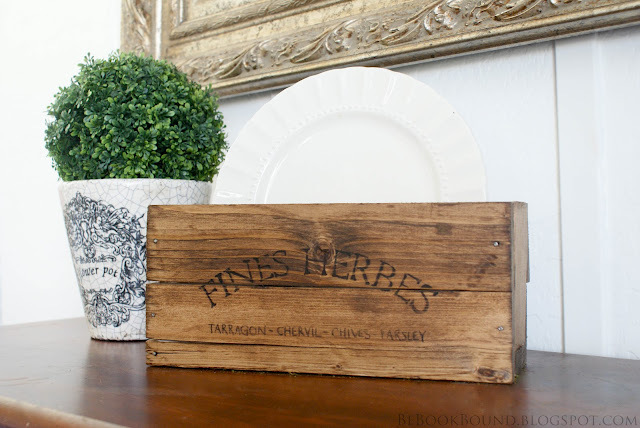 Be Book Bound shared her tutorial on how to make your very own herb crates. They turned out awesome and are now on my list of things to do! The Velvet Door shared with us her amazing new headboard that she ordered off of Amazon! Her entire bedroom is just gorgeous. Art is Beauty showed us the process she went thru to achieve a gorgeous new DIY stair runner! This pulled me in right away because The Hubster and I are almost ready to jump in and tackle our stairs. Love that herb crate and that stair runner rocks! Laura did a great job, didn't she?! That herb box is to die for! I so have to make one for my kitchen! Great features! So happy to be joining you this week Pamela. Thanks for hosting. Ooh, that stair runner is gorgeous! And herb crates have been on my "list" forever!! Hi, Pamela. Wonderful features! Thanks so much for the party! I always love your features! Thanks for hosting your party today. I am so in love with that herb crate. Karin from Art is Beauty is endlessly talented! Good luck on your custom work and the end of the school year craziness! Thank you for the party, you have some wonderful links! Love the feature selection! The herb crate is super cute, that is one gorgeous headboard, tackling a stair runner is a big job and that cabinet, you know I love that ;) I revealed it on my blog! Laura really rocked that one big time! Thanks for hosting Pamela.Great party. Gorgeous features. I saw the bedroom at my party, too. I linked the guest room since I did find the trunk and swimsuit treasure hunting. Thanks for hosting Pam! 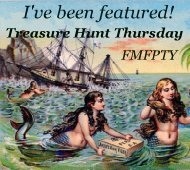 Always love the treasures found here! Thanks for hosting. Very creative features. Thank you for hosting and may you have a great weekend. Great features...love the herb crate and that beautiful headboard. Loved the features! 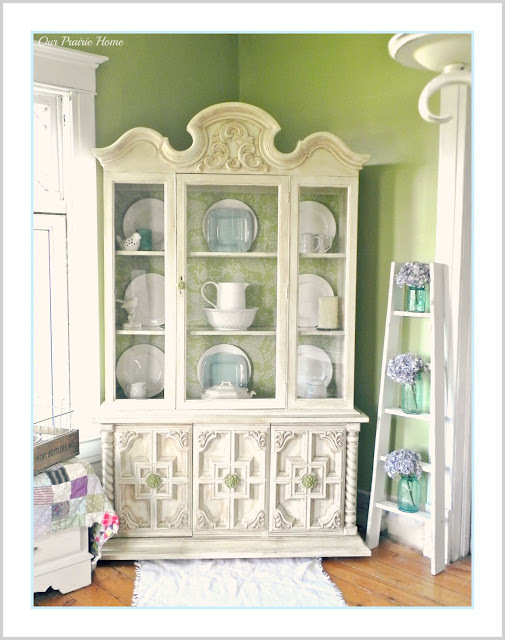 That china hutch is fabulous. Thanks for hosting.